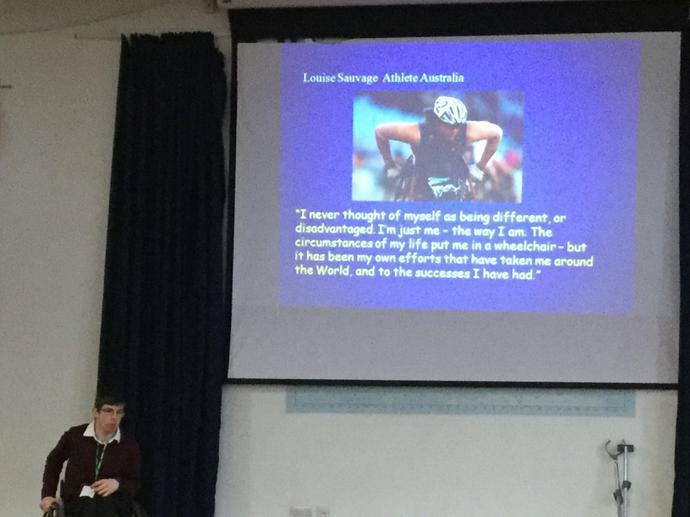 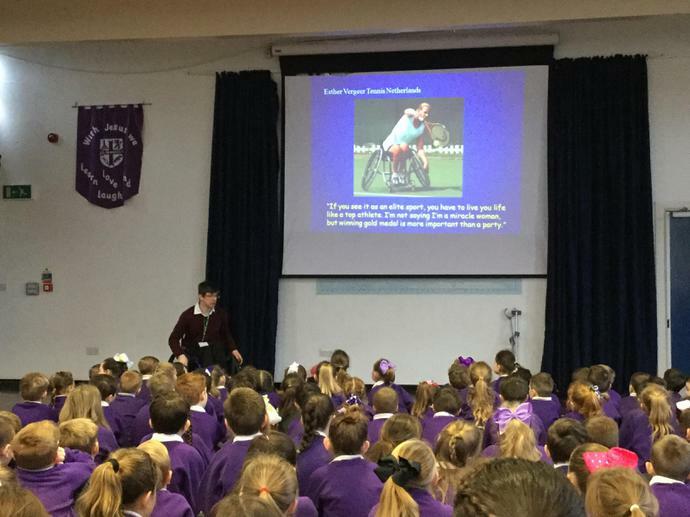 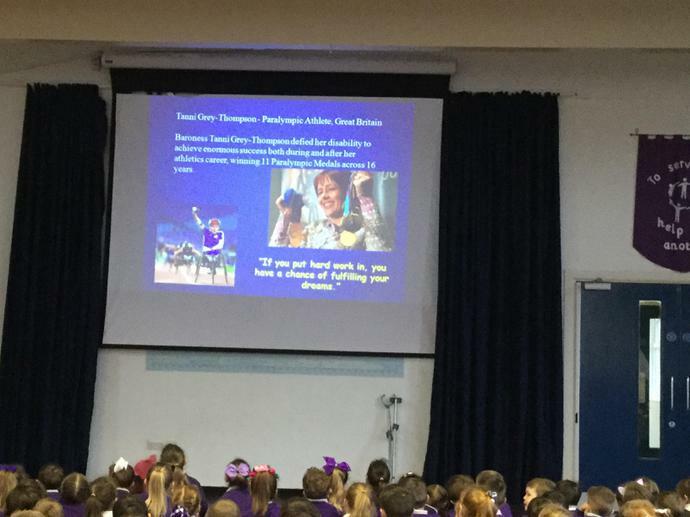 John McCorkel, who has cerebral palsy and runs a company called ‘It’s all normal’ which aims to promote inclusion, visited our school today and led an assembly. 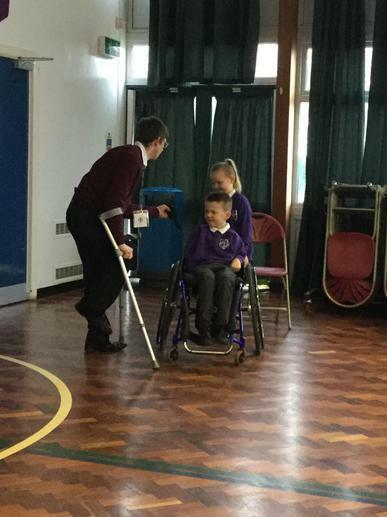 The children were given the opportunity to ask John about his daily life and get some experience of what it is like to have a disability. 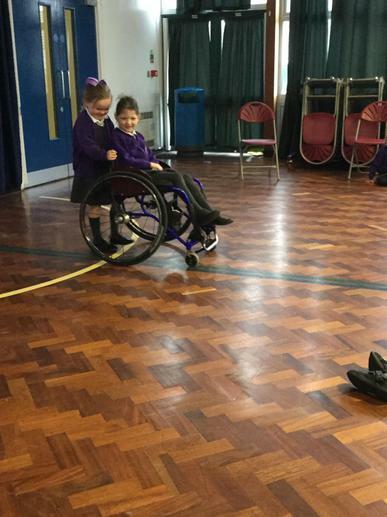 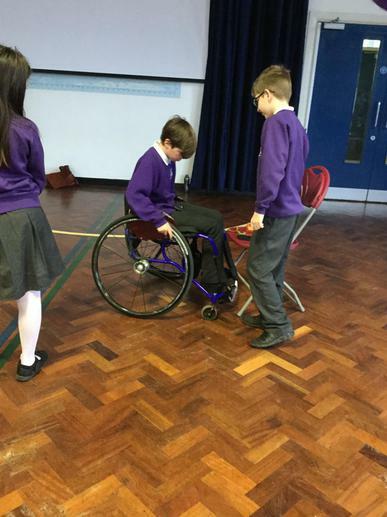 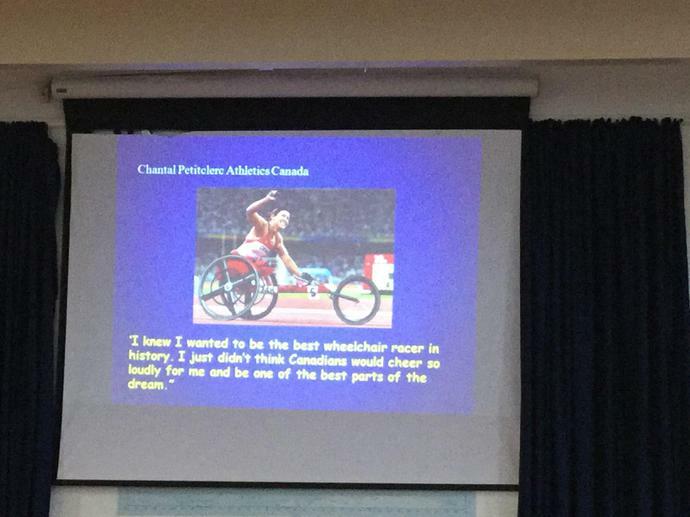 He shared how he plays wheelchair basketball in the National League. 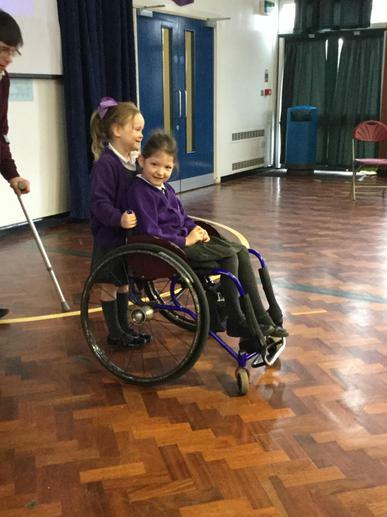 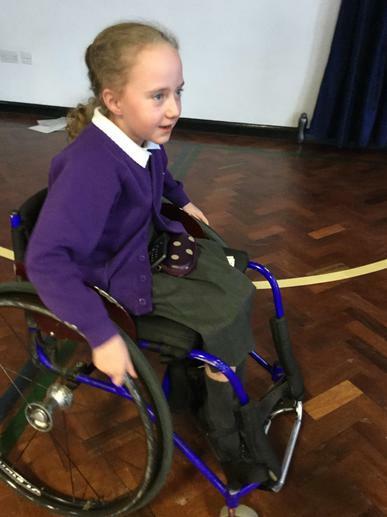 Children learnt about the meaning of the term “disability.” covering physical disabilities; which may affect mobility and motor skills; sensory disabilities such as blindness or deafness and intellectual disabilities; such as learning disabilities and developmental delays. 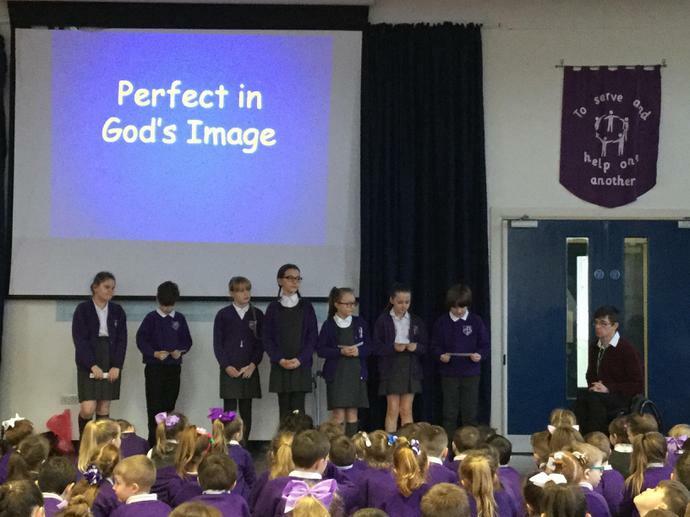 At the end of the assembly Year 6 children read out some lovely prayers. 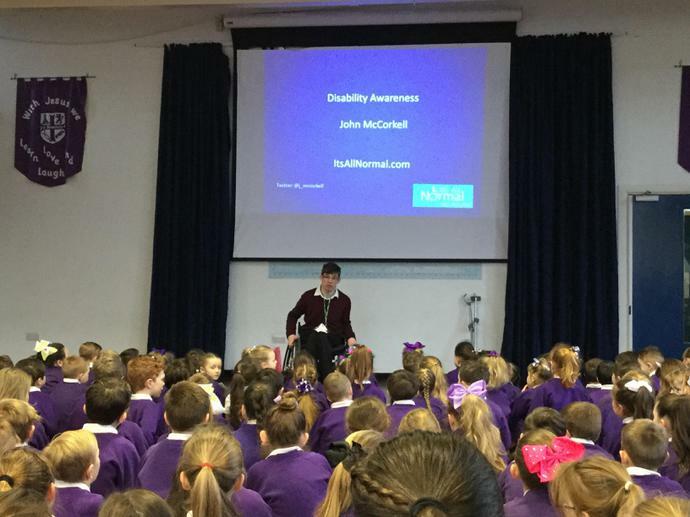 We hope that by having John into school children will reflect on the way that people with disabilities are seen and treated. 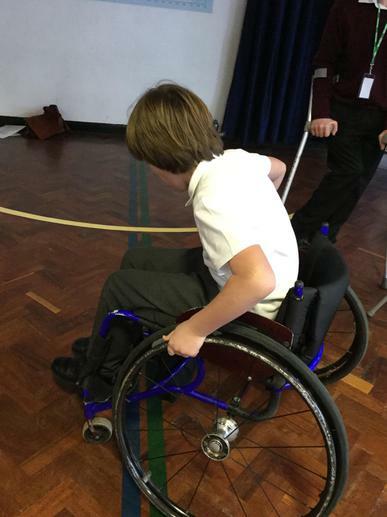 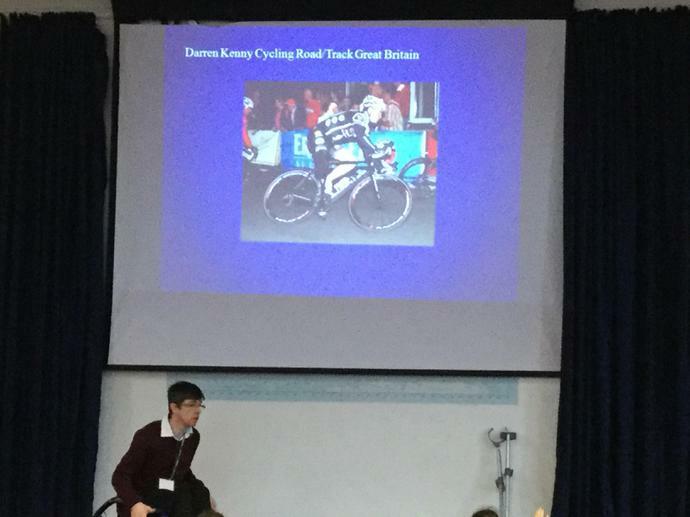 For the rest of the day John ran workshops in our school hall with every class having the opportunity to try a range of different activities to help them understand a little better.